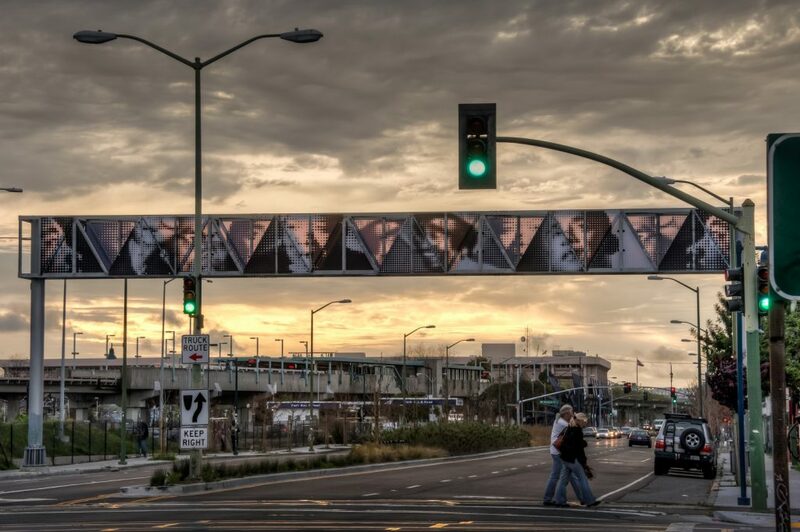 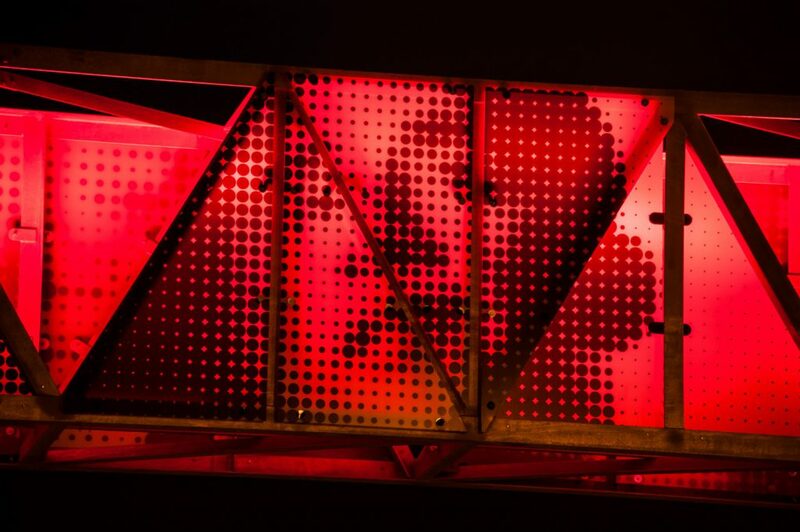 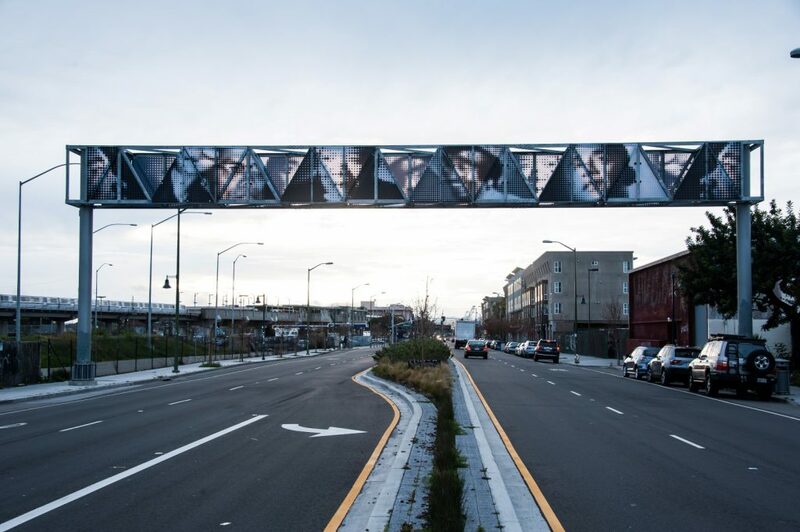 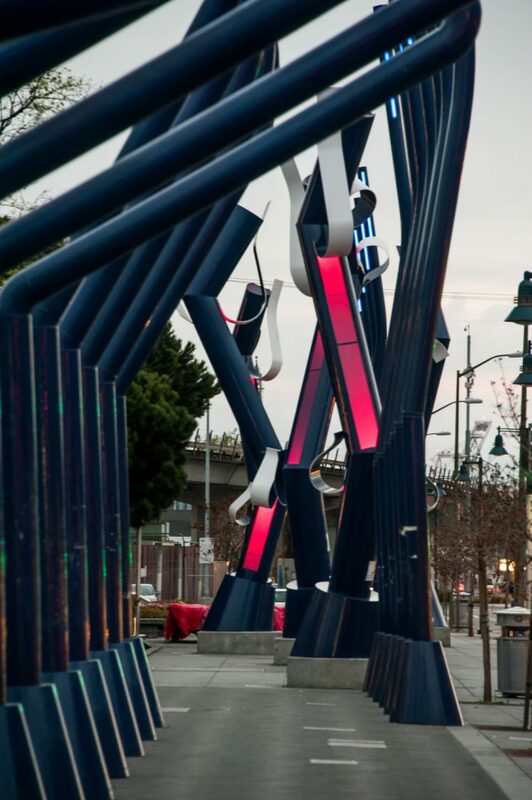 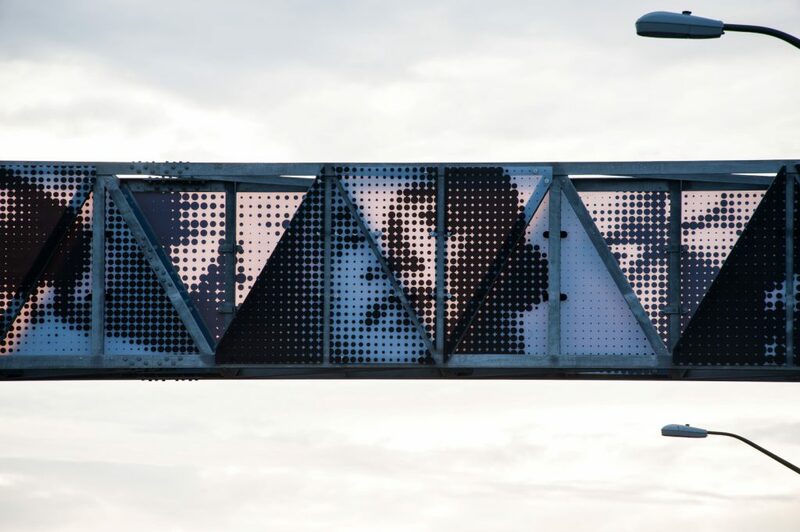 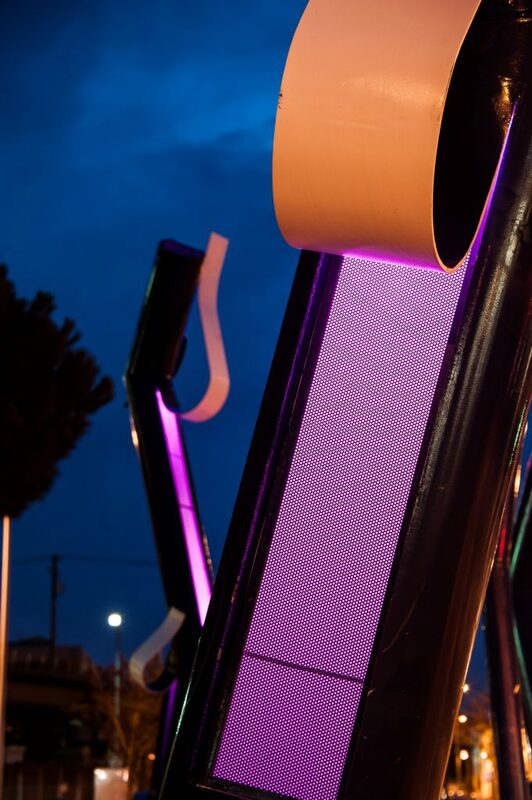 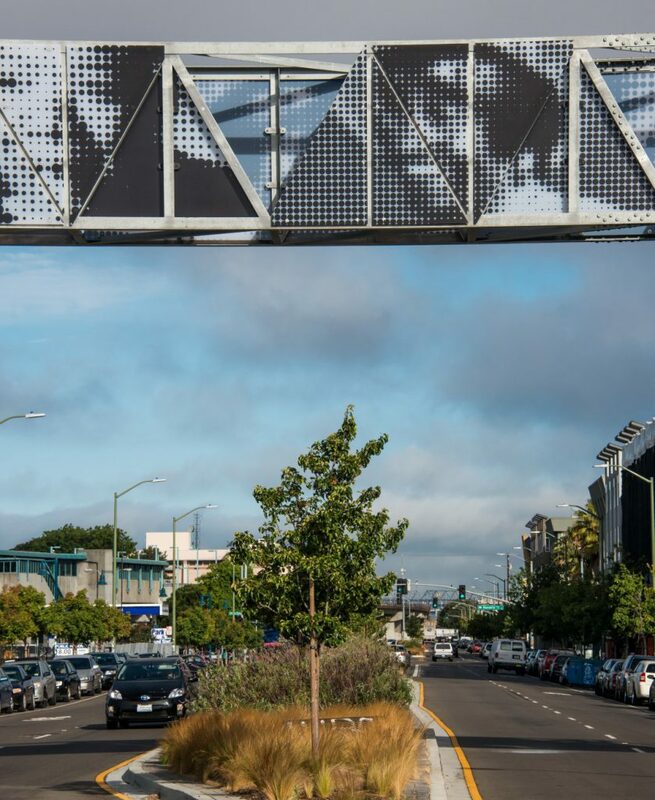 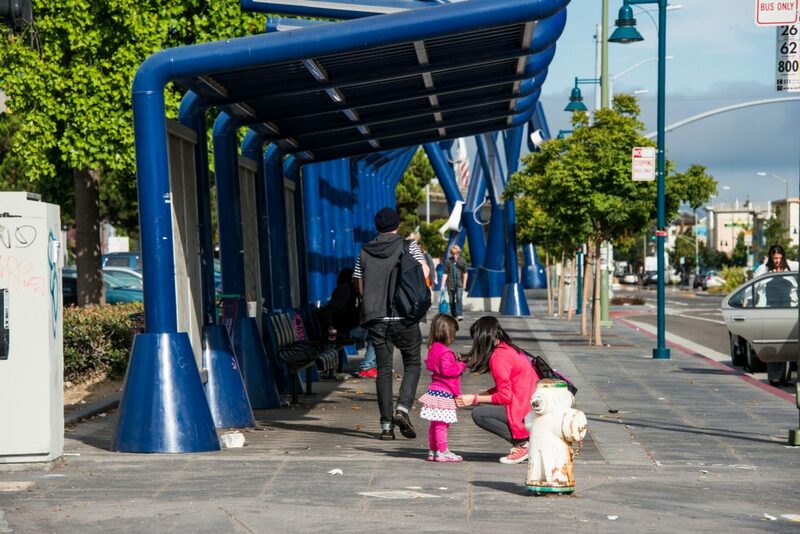 PGAdesign worked in concert with city engineers to redesign 7th Street, creating a gateway from the West Oakland BART station to the adjacent neighborhood. 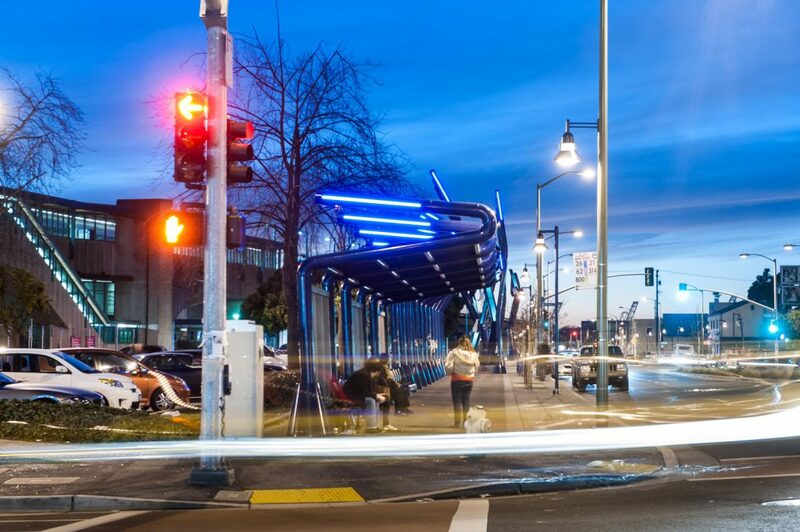 Advancing the schematic plans developed by Hood Design, PGAdesign improved safety by reducing street widths, adding stamped and colored crosswalks, bicycle lanes, high-end and durable site furnishings, elegant lighting and a custom bus shelter. 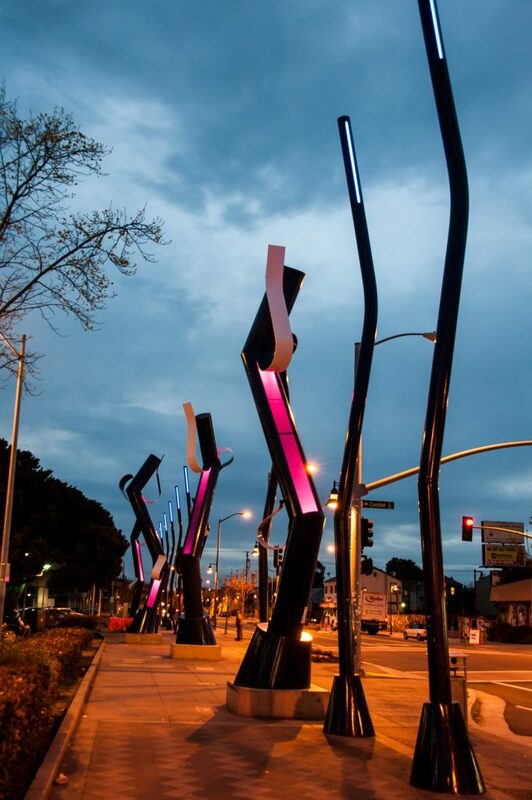 PGAdesign detailed a large linear plaza flanked by an allée of trees, with paving plaques honoring jazz musicians of West Oakland – a touch that adds to the site’s sense of identity. 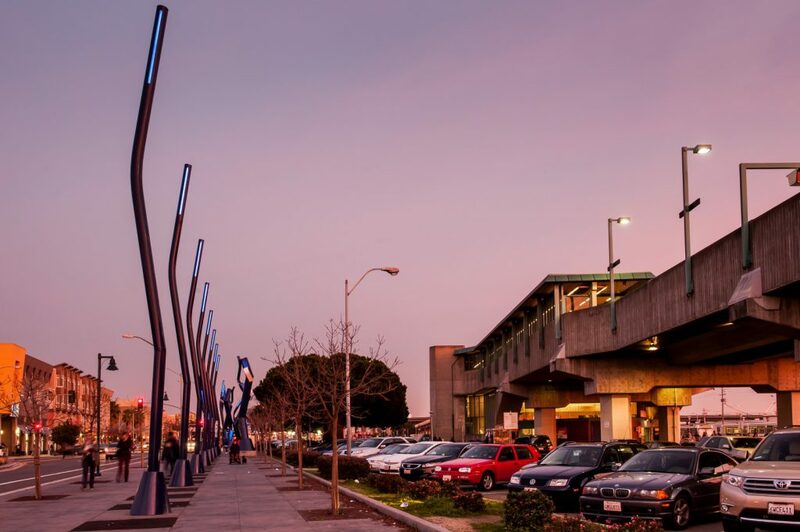 The plaza’s paving was reinforced with steel and electrical outlets to make the space usable for events such as farmers markets or outdoor concerts, highlighting the multimodal aspects of the site. 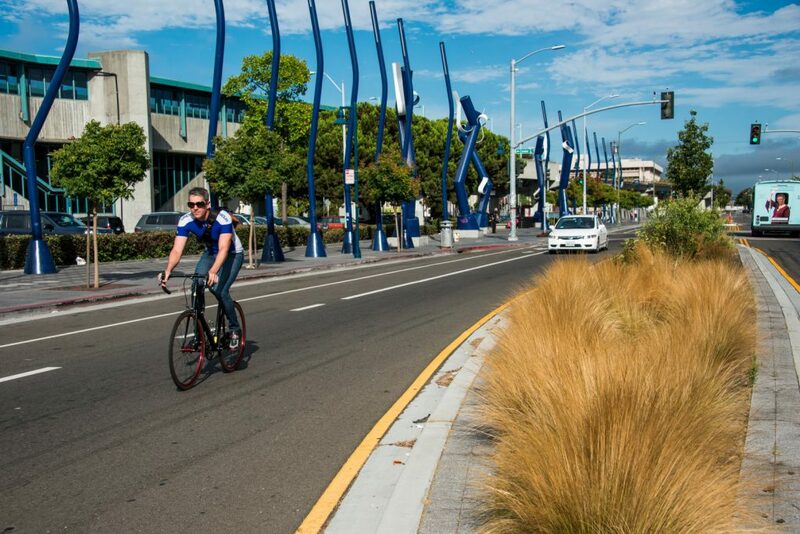 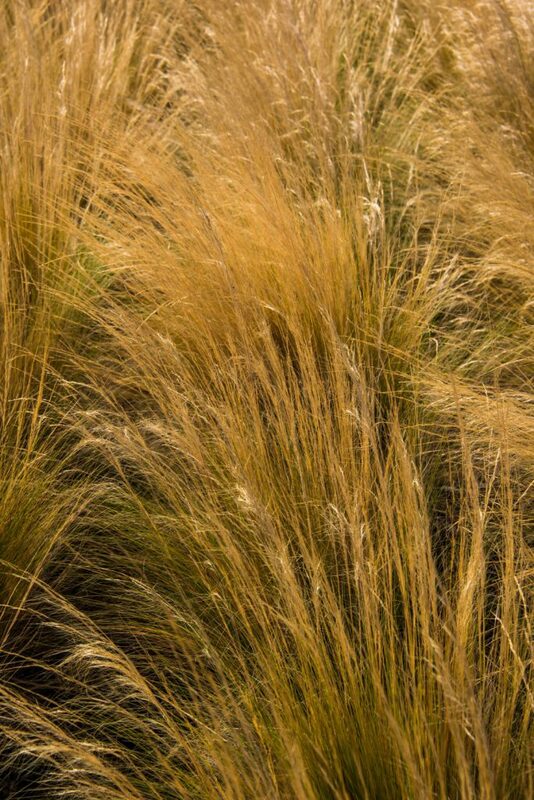 This effort to stimulate development and transform the area around West Oakland’s BART station was further enhanced by a planting design that includes durable trees that either flower in the spring or turn colors in the fall, with an understory of drought-tolerant ornamental grasses for added texture and color.